Years ago, and by years I mean 25 years ago, I was a somewhat accomplished equestrian. I rode, trained, and showed horses in a number of disciplines: hunter/jumper, dressage, fox-hunting, and simple pleasure riding. If you aren’t familiar with the intricacies of training horses for simple riding or competition, you might be shocked at the subtleties that their training involves. Everything from their behavior in the barn to how they respond to simple and more complex commands is the result of constant reinforcement of good cues, positive reinforcement, and an engaged mind on the part of both the horse and trainer. Don’t get me wrong, they have a mind of their own so you’d better be careful how you ask. One thing a lot of people don’t understand about horses is how very sensitive horses are to simple body language. Although we all have the impression from cowboy flicks that horses are primarily driven by violent kicks and slowed down with a jerky rein, the truth is, they are capable of taking most of their requests from small changes in pressure and position of the seat and legs of their rider. 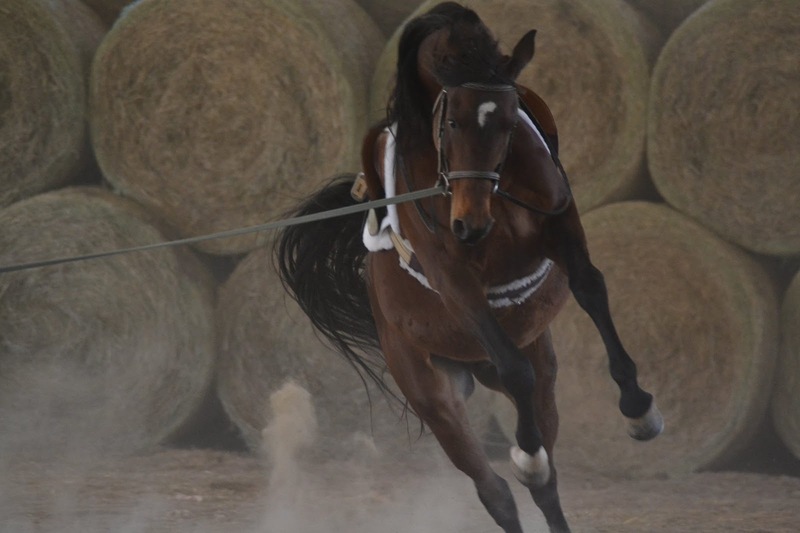 In fact, they will often respond or not respond simply because you turned your head and got distracted or you are fidgeting with your reins and not paying attention to where you are going. Much like any athlete, a good equestrian delivers most of their control of the horse through their hips and legs. And much like any good athlete, the horse responds to most of those commands by driving from their hips and following through with the rest of their body. This is true whether it be holding a collected posture, changing a gait, taking a jump, or complex dressage moves. Anyway, I do have a point, let me get to it. I train people, and I’ve trained horses. People are a lot harder to train. The reason why has a lot to do with our big brains, sometimes the internet, and the inability to be patient. 1. When getting a horse back in shape or training them for the first time, we focus on good movement and transitions, proper body positioning and drive, and an ability to follow commands. Regardless of what the horse wants to do, it does not involve high jumping, galloping, or doing burpees. Strength and condition first, worry about your sport specific demands later. For horses, this never involves burpees. 2. If you want to do something with your horse besides riding for pleasure or going on some occasional romps through the woods, your daily focus is on teaching and learning. A lot of horses like to be challenged and so a mentally or physically difficult work session can be enjoyable for both horse and rider and horses are usually willing to try most things as long as they aren’t hurting, afraid, and understand what you are asking. Push them too hard and they get frustrated and stop making progress, or buck you off. Don’t worry, they won’t post a video of that to Instagram. 3. Horses can’t read calendars so they are often satisfied with daily and weekly progress in their training sessions. Master a skill, move on and learn another one. Canter a little bit longer. Jump that higher jump. Go on that trail ride without being terrified that the scary tree is going to eat you. Run up that hill, all the way, as fast as you can. They don’t have any expectations so they are often stimulated and excited simply by new accomplishments and experiences so small changes make for a great time. And their horse friends are really happy to see them when they return to the pasture and don’t really care whether or not they posted their workout on Facebook. 4. If you see a horse accomplishing something really advanced on the internet, as a responsible rider, you would never have your horse attempt that same routine without a great deal of planning, training, forethought, and time in the saddle practicing those skills. So don’t make that mistake with yourself in the gym. Physiological adaptation applies to all living things. And yet, I routinely encounter people being put through hard workouts with advanced movements they have no clue how to execute correctly. This is either their own idea or the idea of some misinformed trainer. For long term improvement without injury, form and technique matter a lot more than intensity. Anyway, my point here is mainly that when you think about training yourself, think a little bit more about what that means. Training is not constantly testing, it is gradual learning which will cause your body to adapt over time. Learning rather than testing, and the adaptation that comes with it, is far more effective in the long run whether you a horse or a human. In other words, do the work and do it correctly. If what you are doing to yourself would get you in trouble with animal control if you were training a dog or a horse, knock it off. Remember, “First, do no harm”.